Please inform Archipel Mansion in advance of your expected arrival time. For this, you can use the special requests section when making the reservation or contact the accommodation directly. The contact details appear on the booking confirmation. 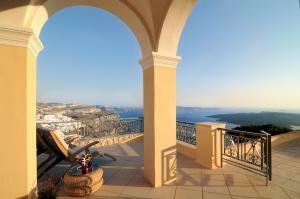 A damage deposit of EUR 500 is requested when booking. It will be done with a credit card. It will be returned to you upon check-out. The deposit will be refunded completely by credit card once the accommodation has been reviewed. Stag and hen parties or similar parties can not be held in this property. Fitted with vaulted ceilings, arches, antique furnishings and contemporary artworks, this villa features furnished terraces with an outdoor hot tub and panoramic views over the Aegean Sea. This twin / double room has a balcony and private entrance.